Seventy Seven Nail Lacquer has a gorgeous holo rainbow collection that is releasing THIS Friday. I was ecstatic when Connie, the maker of 77, asked me to swatch these. They are right up my alley! *Notes: All of these are 2 coats, photographed indoors in a light box, no white undies, topped with Out the Door. Cash. 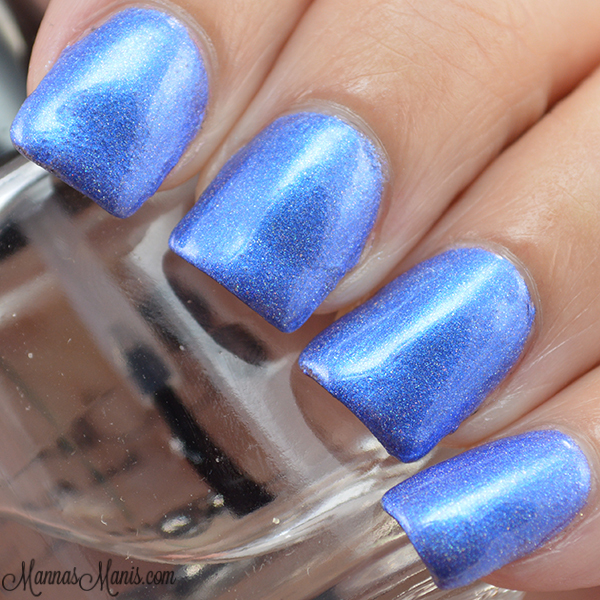 Beautiful rich blue holo. Piper. Red leaning pink holo. I did some nail art with my 2 favorites, Aria & Paisley! You know I love my gradients, and I stamped over it with MDU silver and Pueen plate 15. 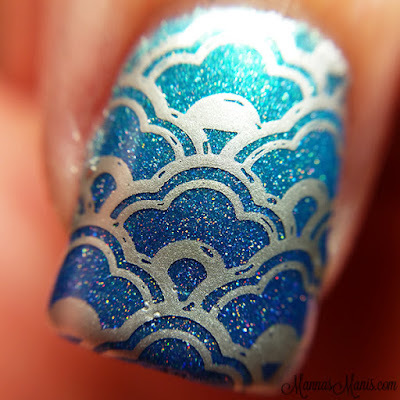 It's so gorgeous I don't want to remove it to swatch, but alas, the life of a nail polish blogger.. Thoughts: These are all amazing! 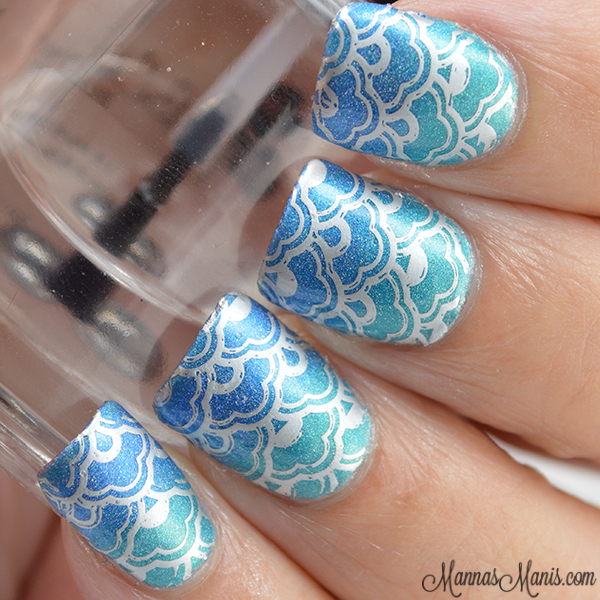 Minimal patches with 1 coat, all are 2 coats for full opacity. 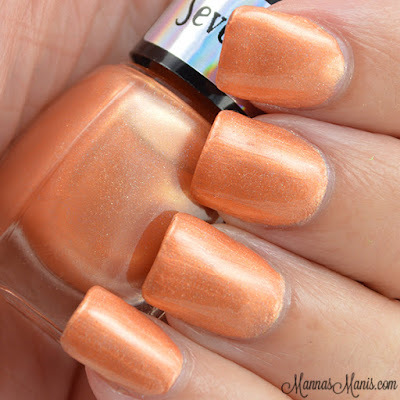 Formula is just right, not too thin or thick, which makes clean up a breeze because you don't flood your cuticles. Dry time was quick with these, 5 minutes and they were dry to the touch. 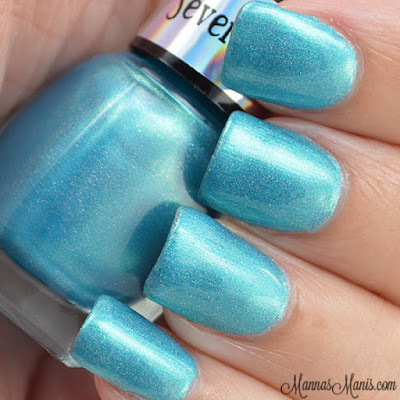 They dry smooth, so you can choose to go without a top coat if you wish, because I know sometimes top coat dulls the holo. Pricing and availability: Available for pre order NOW! Otherwise, available on Friday June 18th. $70 set, $10 individual for 12mL. Minis not available at this time. 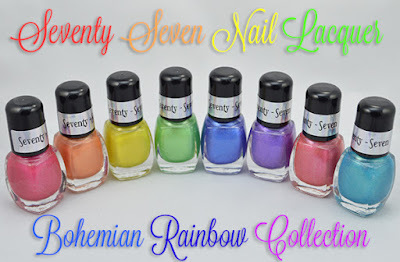 Have you tried Seventy Seven Nail Lacquer? 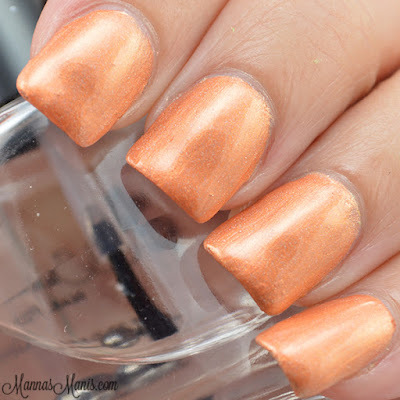 Are you a holo whore?! Let me know in the comments!